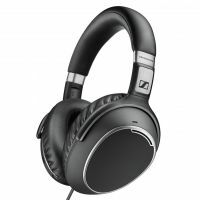 This sennheiser HD 4.50 BTNC headset delivers everything required by a music aficionado with an active lifestyle. It's sound and the latest wireless technology. It come audio cable with 2.5 mm and 3.5 mm jack plug. The joy of a long-lasting battery noise gard protected music for up to 19 hours (it lasts up to 25 hours with noisegard switched off). 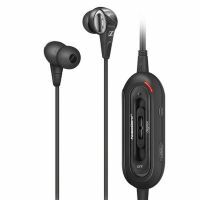 This streetwise, the HD 4.50 wireless combines supreme comfort and maximum portability. 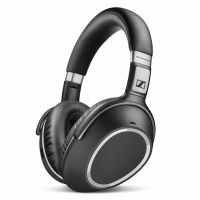 with its around-ear design and deep, ergonomically designed ear pads it allows you to enjoy the most extended of listening sessions. 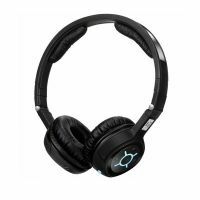 This headset comes with state-of-the-art wireless technology and audio codec for reliable transmission and true wireless Hi-Fi sound. To Recieve updates and possible rewards for Seinheiser HD 4.50 BTNC please sign in. To Recieve updates and possible rewards for Speaker & Headphone please sign in.